Dogs love to play and they will do it any chance they get. As a dog owner, you can use playtime as an opportunity to grow your dog's mental and physical health. We have prepared 10 games that will boost your pooch’s cognitive and physical functions. Human beings need constant mental and physical exercise to stay healthy. This boosts our ability to think creatively and ensure we stay in good shape. It is the same for dogs. If you want your dog’s IQ to remain at an all-time high, you have to challenge his cognitive every day. While at it, their bodies need exercising as well to keep their limbs strong. Exercising also helps with preventing weight-gain in dogs. Without further ado, here are the 10 fun games to indulge with your dog. This is the good old game of fetch which dogs love a lot. Most dog owners already play this game with their canine pets. The trick is to teach your dog to fetch and retrieve a toy. If your dog already knows how to fetch, now you need to teach him how to return the toy to you. A Frisbee is a great toy for this game. Now turn this game into a learning exercise. Teach your dog to fetch close items and bring them back to you. Starting with closer items also helps you train your dog how to listen to your commands. Once the dog gets to the toy, call them back to you. Then throw the items far away and call them to bring the toy back. By this time your dog already knows that when you throw something for them to fetch they have to bring it back. The next lesson is teaching your dog to fetch specific items. Get two toys and give them different names. The first toy could be a stuffed blue whale and the other a stuffed raccoon. Start with small distances first. Place the two toys about three feet away and ask your dog to fetch. Use commands like ‘fetch the blue whale’ or ‘get the raccoon’. Each time your dog gets a trick right you reward them with a treat. Some dogs (like a poodle) have a great IQ and will get the tricks first. For others, you will have to train them with one toy first before introducing the other. Hide and seek is another great game your dog will enjoy. This game is important for dogs that are naturally predisposed to hunting like Dobermans, German Shepard, and Poodles too. You have to trick your dog to look the other way and give you time to go hide. Toss a treat or toy across a room and while he fetches it, go hide. This will be a perfect opportunity for your dog to engage his great sense of smell. He will follow your scent until he finds it. Make it hard for him by hiding in a closet inside a room. Or go outside and hide in your yard while he searches the whole house. If he starts getting edgy, give him verbal clues like calling his name while in hiding. Tug of war is great for dogs with pent-up energy. Biting and pulling of a toy is great for a dog that wants to test its strength. This game is also great if you want your dog to learn who is in control at all times. This game is also great for dogs that tend to get too excited frequently. For this game to be a success, you will have to establish some ground rules. You are only to play this game if your dog is willing to obey your command amid all the excitement. Your dog should be willing to release the tug toy on your command. You can teach him to release and sit as a sign of obedience. The hold on the tag toy should be 20 to 40 seconds then he must release. Some dogs will be stubborn and you will have to be sterner on exercising authority. A dog harness is a great accessory to do this with. It is also gentler to pull your dog back with a harness than a leash around his neck. Pull on the harness as you draw the toy away from his mouth. This way he understands when to stop biting and listen. Smell games are another way to hone your dog's ability to detect a scent. Did you know that a dog's ability to process smell is 40 times over that of a human? This is possible thanks to the 300 million sense receptors in the dog's nose. Constantly engaging his sense of smell is a great way to keep his mind working. One simple game of smell is ‘Pick the hand’. Your dog picks the hand that has a sweet smelling treat or food he likes. Use a treat your dog loves like peanut butter cookies or frozen turkey nuggets. It should be a treat that fits inside your hand when you close it into a fist. Now let your dog smell between the two hands and decide which one has a treat. If he gets it right, reward him with the goodies. Agility games encompass the two goals we have on this article. They engage your dog mentally as they are guessing what comes next. This game builds your dog physically with each obstacle course they clear. You do not need to sign up your dog in a pet boot camp (unless it is necessary). You can build your own agility course at home with simple tools. Set up jumps using two chairs and a narrow wooden plank. Use a hula hoop or tire tied to a tree for aerial jumps. Ensure the hoop is within a height your dog can jump. Use a nylon tunnel for kids to teach your dog to go through it too. Your dog should keep guessing what obstacle comes next in the course. His muscles and brain are getting exercised. He is also bonding with you which is great. This may not exactly sound like a game but your dog does not know that. The best part of doing chores with your dog is the quality time you spend together. Rinse the dishes and let your dog put them in the dishwasher. Tie a towel around the fridge handle and teach your dog how to pull it to open. Dogs get a sense of accomplishment when they do a task correctly. Let your dog have this moment as you spend quality time together. We hope you found this article interesting and fun. Follow the rabbitgoo blog for more fun articles about living with pets. If you know other games to play with your canine pet, let us know on the comment section below. Aggressive Dogs: Nature or Nurture? Do You Know About The 8 Scientific Discoveries About Dogs? Why Do Dogs Like to Make Marks at Home? 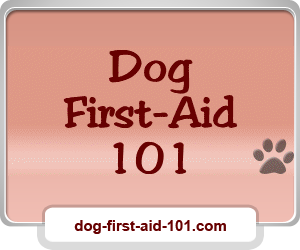 Must-have Preparations to Train Your Dogs? Why Should Your Dog Always Be Kept On A Leash Walking out? Could the Ban on Dog Walking Stop Owners Taking Out Their Pets? Wondering What to Get Your Pooch This Christmas? Get Him a Dog Harness!